Do you need a PBIS Rewards T-shirt for yourself, your PBIS team, or your entire staff? You’ve come to the right place! 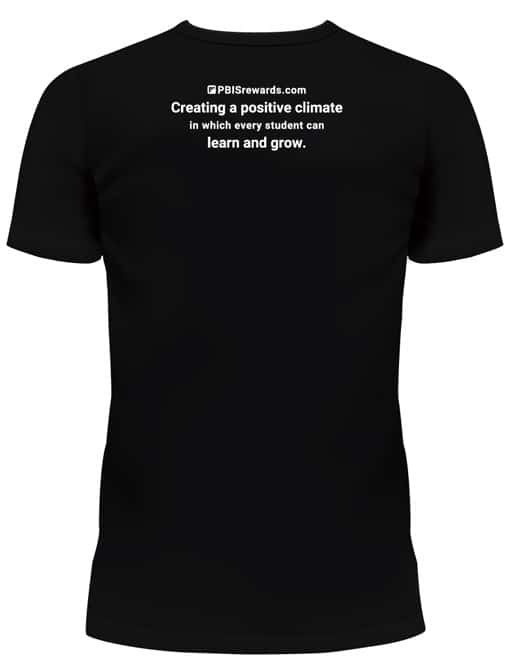 Order your PBIS Rewards T-shirt here. Join us in celebrating positivity in schools and creating a positive climate in which every student can learn and grow academically, socially, and emotionally. When you get your PBIS Rewards T-shirt, remember to join us for #PBISRewardsT day on the first Friday of every month. We encourage you to join our team and wear your PBIS Rewards T-shirt, take pictures, and jump on Twitter or Instagram to share those pictures of you (or your team). Remember to use the hashtag #PBISRewardsT and to tag us in your sharing. 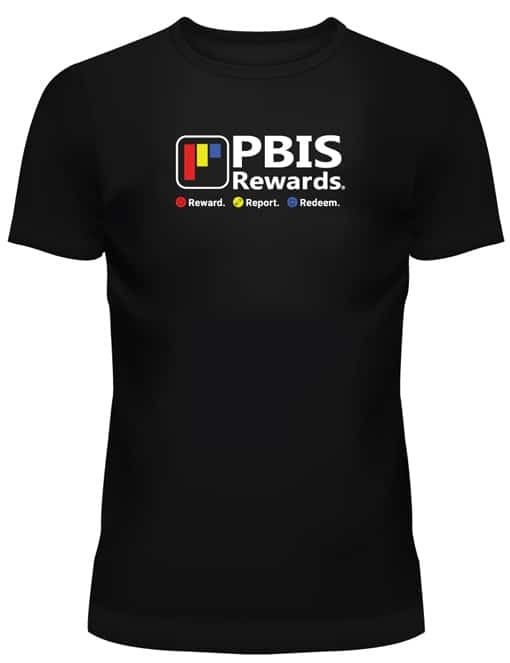 The PBIS Rewards T-Shirt is a Gildan Softstyle® Adult T-Shirt (preshrunk jersey knit). Available in black only. Need to buy shirts with a Purchase Order? Please call 1-844-458-7247. All sizes are Adult (Unisex). Yes, I want to purchase another size. Flat rate shipping of $5 on your entire order. Note: XXL and 3XL sizes are an additional charge. That is reflected in the Total. NOTE: At this time, T-shirt orders are only shipped to addresses in the United States. A receipt will be emailed to this email address.